I can honestly say that this has been the best month in a long time. I have made so many wonderful new, life-long friends. We have laughed, we have cried and we have spent too many hours lolling around in the sunshine. It is officially summer here in Germany and it is glorious. My writing desk at the moment is an impossibly green field. Windmills are turning in the distance, bees buzz around me and the grasses rustle in the breeze. This countryside is sometimes so beautiful it feels like a storybook. 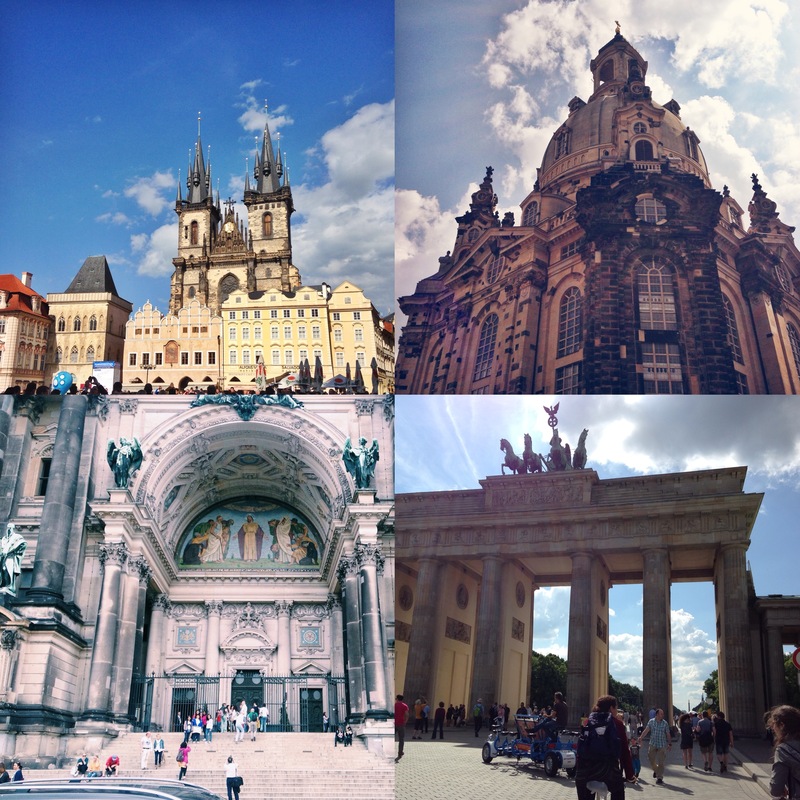 The past month has taken me to the disney-like city of Prague in the Czech Republic and the eclectic city of Berlin. Unfortunately blogging took to the back burner this month as I focused on friendships and being happy, but I am pleased to report that it is now full-steam ahead! – A morning spent drinking coffee and chatting at Mamacoffee in Prague. Sometimes you need to spend time just letting the world walk past you. People watching and coffee is what you need when a city overwhelms! – My new-found love for coffee. – Eating a daily Trdelnik in Prague. I am still dreaming about this crunchy but soft twisted dough pastry. – Finding a secret grassy patch by a stream in the forest near my house. – Eating a delicious breakfast of french-toast croissant, bacon and eggs in Kreuzberg, Berlin. Despite getting spat on. -The day spent riding around Berlin with my three closest friends. Seeing the East-Side gallery was amazing and surreal (I still haven’t come to terms with the fact that I am living in Germany, bit late to the party). – Seeing The Grand Budapest Hotel by Wes Anderson in the cinema. Finally! 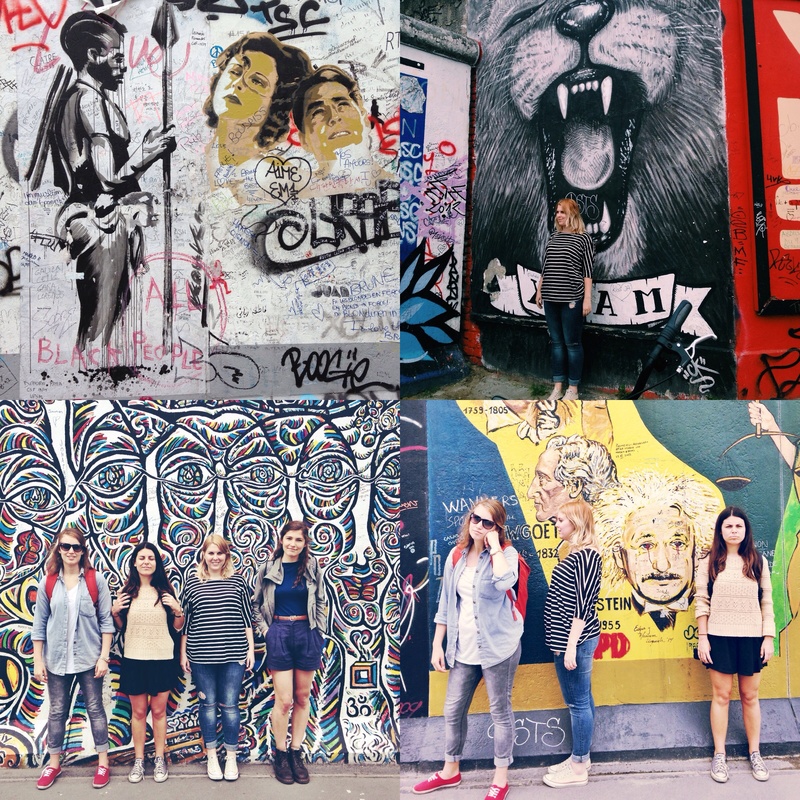 – Shopping at the MauerPark flea market in Berlin and finding some cool pieces of clothing. 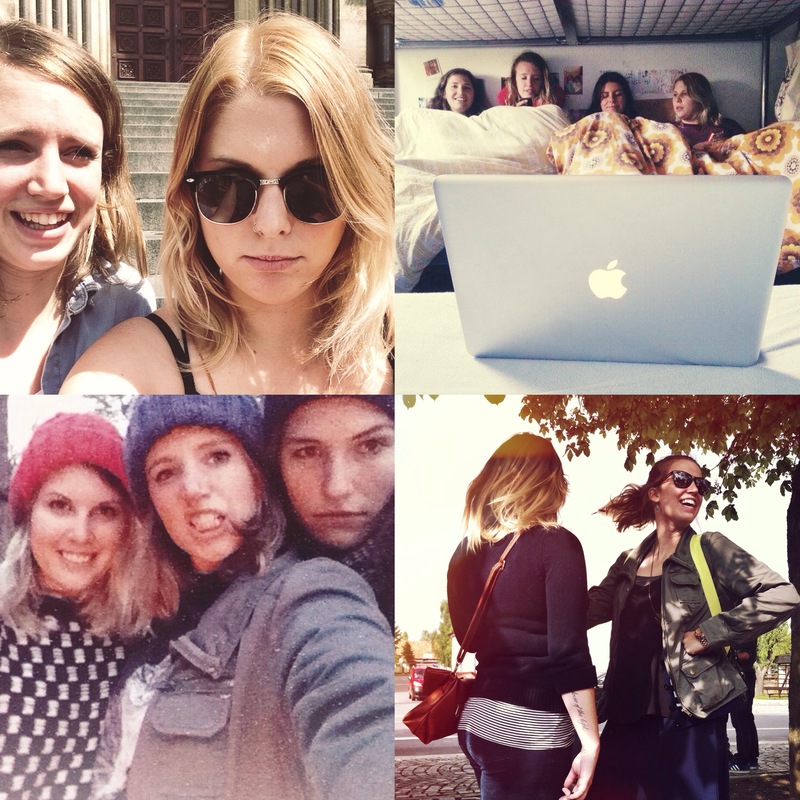 – My friends and I had an epic carpooling fail that left us stranded in Berlin for a night. Less traumatic and more hilarious- post to come. – Having regular movie-watching/snuggle sessions with friends. – Being saddened by peoples neglectful and irresponsible views on environmental and resource management. Living in a community of people often means dealing with other peoples wrong ideas and as a fiery and passionate person, it is hard me to see such ignorance and remain calm. – Feeling like I am running on empty. Life has gotten extremely busy without a single hour or two to spare. This makes for one stressed out girl. – Not having enough time to relax AND blog. I’m finding myself having to sacrifice all my free-time to blog and be creative. – I have also found myself struggling with remaining present and in the moment. As someone who is always looking for new adventures and opportunities, it is sometimes difficult to appreciate the one that I am living now! – I miss my cat. That is all. At this time I am.. I saw this cute way of sharing a little summary of life over on Bleubird Blog and thought I would add it in to my monthly roundups as I way of remembering these little snapshots of time. Eating / Boxes and boxes of cinnamon-toast cereal. Drinking / Iced Vanilla lattes. Practicing / Discipline, listening and selflessness. Mastering / Instagram. Follow me @dirtypawsblog. Learning / To keep the main thing, the main thing. Trying / To control my tongue. Playing / With other people’s cats. Finishing / The course I am doing. Reading / Haruki Murakami’s Kafka on the Shore. Remembering / Hiking through the Himalayas. Wearing / Ripped jeans and converse. Cooking / Nothing! Thank God. Working / On my passion- This blog. Traveling / To Greece in 9 days. Wanting / A Fjallravern backpack. I am off to Greece in 9 days! I will be spending three weeks in Thessaloniki. I am so excited to see this beautiful country. How has your month been? Let me know in the comments below or email me at dirtypawsblog@gmail.com. 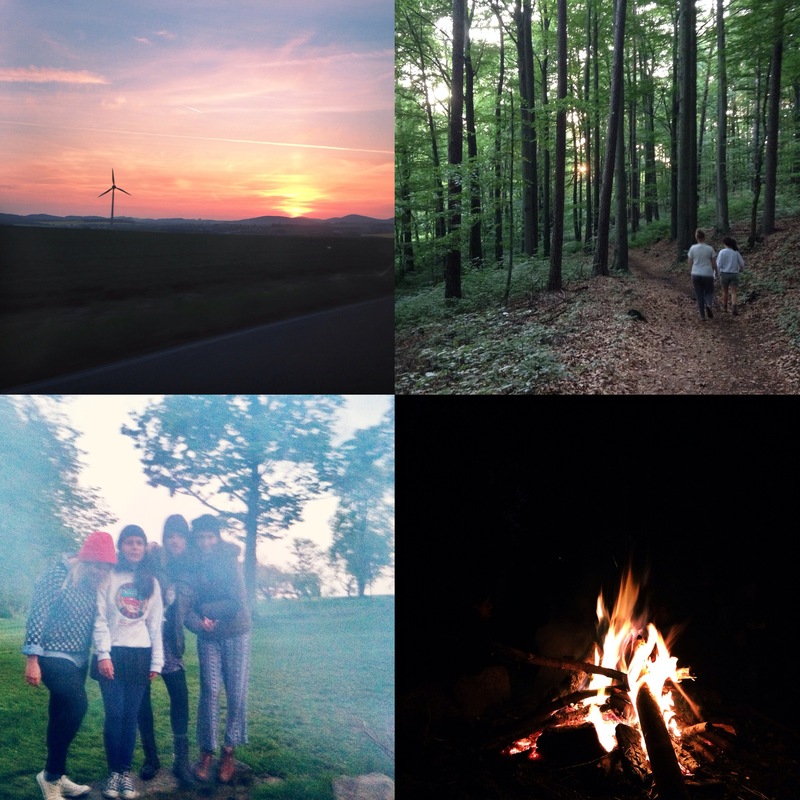 Summer in Germany seems paradisiac! I loved this post, the feeling you passed on to us and the new summary on life! Will definitely add you on IG! !